Donald S. Stewart is a senior trust advisor for Tompkins. In addition to partnering with existing and prospective clients to develop and review investment objectives and goals, he also helps clients meet their trust, estate, and financial planning goals. Prior to joining Tompkins in 1972, he served as a captain in the United States Air Force. 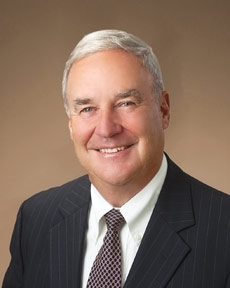 Donald is a past board member for the Hospicare Foundation and Kendal at Ithaca, and a past chairman of the Trust Division of the New York Bankers Association. In his free time, Donald enjoys walking, exercising and playing golf.